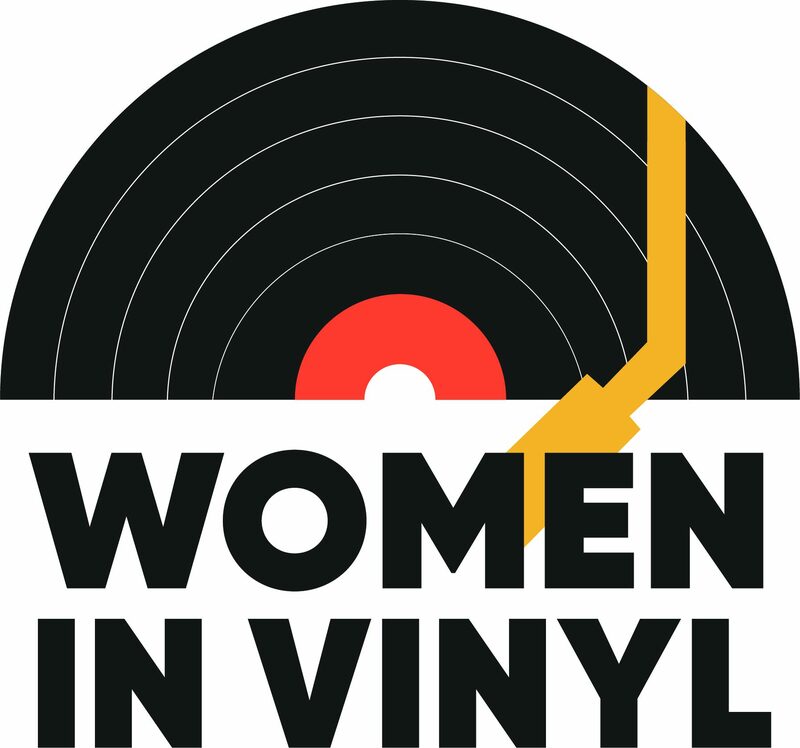 I’m happy to highlight Sara Twinn today, she is the co-owner of Taxi Driver Records a label and online record store based in Italy. Sara and her partner Massimo have been on my radar for awhile and we’ve been ‘instagram friends’ for some time. As a Mom she is constantly balancing her time with family, along with all the projects she has going on. So let’s get into what Sara’s been up to. Almost ten years ago, Massimo (my partner) and I went to the ATP festival in the UK, which that year was curated by The Melvins and Mike Patton. I just felt at home. Music, energy, the kindness of everyone, visual arts. At that moment I realized I really wanted to be involved in this magic world, somehow. Massimo was already the chief editor of an Italian underground music webzine, and I was so excited when he suggested we open a record store together. I had just graduated, at that time. I didn’t think much about it, I just did it. Not really caring about timing, but I have to say it was, and probably still is, the worst period in Italy to start an independent business. Anyway, we opened the record store in 2009. We started the record label a few months later, with the aim of helping the promotion of our local underground scene: there were very cool bands that deserved a push and we released quite a nice number of debuts. From there we started developing our range of activity in many ways and I also learnt how to create our own merchandise using both screen-printing and thermal-printing techniques. The record store has always been mainly focused on the worldwide underground scene: we were selling CDs and vinyl records within heavy psych, stoner rock, doom metal, hard-core, post metal, black metal, grunge, alternative rock, indie music genres but also funk, soul, movie soundtracks, and a bit of classic rock too. But after eight years (2017), we felt we had to press the restart button on everything. I’ve changed directions several times in my life already, and it happened again. In that period, we had just had a baby boy and we wanted to stay a bit closer to him during his first years. The physical record store was suffering the national financial pressure of these awful years. Many different reasons lead my partner and me to stop playing with the bands we were respectively involved with, and there were some health issues too that claimed priority. We needed to breathe fresh air, literally. I remember the day Massimo asked me if I was ready to face a new thunderstorm, and I answered, “yes”. So we decided to temporarily close the physical store and to move from the city center to the hillside in a little independent house, in order to rebuild everything from the beginning, ourselves included, with more consciousness and experience. This is what I’m doing right now. We’re currently working online only. I’m experimenting with the benefits of a healthy life and working on the best way to match this new energy with my great passion for music. I’m planning new releases on vinyl via Taxi Driver Records. The label has developed over the years: as the local music scene has changed a bit in the meanwhile, we also started to work with very interesting bands from other cities and abroad. We really love the idea of encouraging musicians and help their projects to take-off, especially during their very difficult starting process; it’s like a talent-scout label. I’m also re-organizing our warehouse, supporting Massimo with the development of his new Italian music webzine Tomorrow Hit Today (I’m now working on the paper version) and starting to print merchandise again. I think the educational aspect is one of the things that motivates me the most. Underground music surprisingly saved my life, especially the combination of music with visual arts. Every day is tough, but it really sets my mind and soul free. And I’d love to show its benefits to the widest range of people. I do not have a standard working day, but here is more or less how it goes. I wake up early and check my emails and social networks. After having breakfast and playing a bit with my kid, I take care of new orders/customer service. Then I update the webstore and create a promotional campaign or, alternatively, I develop a layout project for our needs (label, store, magazine). I also work for Taxi Driver Records press office. Taking care of my family too, there are moments during the day when I have a break from work in order to stay with them. The house we moved into is also involved in a long-term project, as we’d love to turn the whole area into a refuge in the woods for musicians. Every day I try to do my personal contribution to it outdoors/indoors, as the building and the garden need to be renovated and everything is “work in progress”. I would say that every single Taxi Driver Records release is the favorite thing I’ve worked on, on vinyl especially. I love to match the artwork with the color of the vinyl, making very limited editions. I also have fun creating handcrafted covers for CD versions. And I also love the process of assembling all the elements together, in a very DIY attitude. Recently, I also started a new exciting experience. I had the chance to do my first interview for Tomorrow Hit Today, following Massimo’s guidelines. I spent a great time talking with Greg Anderson, from Southern Lord label and masters of drone Sunn O))) band, about his whole career and it has been very interesting to translate the conversation into Italian too (find it here). His kindness reminded me of why I decided to be involved somehow in this music industry, ten years ago. And talking to him has been a great inspiration for me, but I really hope it can be useful to many readers. And now I’m looking forward to the next interview. Again, I think it’s the educational aspect that intrigues me the most. On one hand, I’m currently encouraging Italian people, musicians especially, to improve their English in order to better understand and communicate to the whole world. I’m also teaching English to Italian starters, kids and adults, it’s a kind of mission for me. But on the other hand what Massimo is doing with his Italian webzine, translating all the news into Italian, is such an important tool for everybody who speaks our language and I’m very happy to give my contribution with the interviews. Sometimes talking with bands that are not very focused yet on themselves, and still need to find out who they are, can be very difficult and it’s a real part of my job to help them. But this is well balanced with the pleasure of having worked on other projects that have immediately expressed their strong identity: Psychedelic Witchcraft, Sonic Wolves, Cambrian, Humulus, Dandy Brown, just to name a few. Anyway, the most difficult part of my job is definitely this recent restyle we’re working on. But I’m happy we had the courage to do it and I really hope to see nice results soon. In this kind of business, you have to be determined and very patient. Be open-minded and remember that never is forever, in music and in life. Things can change in the blink of an eye and you need to face it with the strength of your heart. Never stop studying. Communicate and always look for inspiration, in order to build up your own identity. Since I started my relationship with Massimo, I experienced all the benefits of living with a record collector. Before that, I didn’t even own a turntable. I started to be involved in the underground music scene of my city when I was more or less 21 years old, and it took me a few years to realize the meaning of rock music in my life and to be totally influenced by it. When I opened the record store, at the age of 27, I was probably more attracted to the idea of it than by vinyl itself. Then I started to listen to vinyl records daily, to learn how to manage them properly, to clean them carefully, and to enjoy the different editions. I became a real nerd about the object itself. I’m excited about the world of opportunities that the vinyl market is creating in these years but at the same time, I’m worried about the abuse of it. I see many record labels printing low-quality editions without any care, and selling tons of titles and reissues that are saturating the market itself. I see many independent music shops closing down because they can’t compete with multinational corporations. But I also see a niche group of record lovers being very careful and curious and supporting the independent market, so I really hope this will make a difference. Mudhoney. I listen to many underground music genres, but my first answer to this kind of question will be always the same… Mudhoney. They sum up in some ways my attitude towards life and music: always devoted, never pretentious, a lifelong commitment with positive vibes.